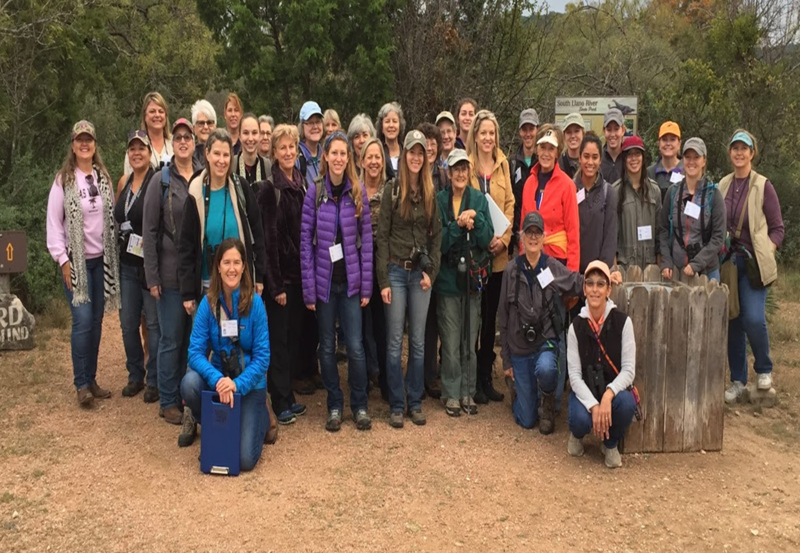 Combine information on land management with skill-based outdoor recreation in a venue that encourages women to become active land managers, develop and hone their management skills and network with women of similar interests. Click here to see what a Women of the Land workshop encompasses. Aldo Leopold, the father of modern wildlife management published Game Management in 1933. In it he quotes "...game (wildlife) can be restored by the creative use of the same tools which have heretofore destroyed it- axe, cow, plow, fire, and gun." Each workshop will focus on one of the 5 management tools and will provide greater hands-on opportunities. Examples include; operating ranch equipment, wildlife harvest management, building ranch improvements like rainwater harvester systems, rotational grazing systems, etc. Workshops will focus on the study of healthy habitat fundamentals that work to support healthy wildlife populations, agricultural practices and water. Click here to download the workshop's tentative agenda. Registration fees for workshops can vary depending on venue and focus. Registration fees cover lodging, meals, and educational materials. Spots are limited so register today.